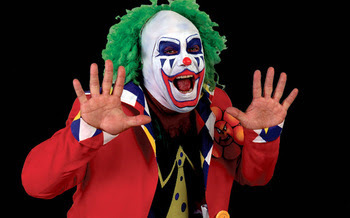 Sadly there is another death to report in the wrestling world, as Matt Borne (real name Matt Osborne) aka the original Doink the Clown has passed away at age 56. Borne was a second generation wrestler as his father Tony Borne (who just passed away in 2010) was a wrestler in the 50’s and 60’s. Matt Borne debuted in 1978 and made the rounds in numerous territories, gaining experience before making to the major promotion a few years later. Many people do not realize Borne wrestled in the first WrestleMania in 1985 where he faced Ricky Steamboat. In the years following Borne was a mainstay in the Texas area, working with the Von Erichs in World Class Championship Wrestling as “Maniac” Matt Borne. 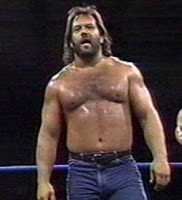 In 1991 Borne resurfaced in WCW as “Big Josh” which was a lumberjack character. Big Josh would win the U.S. tag team titles with Ron Simmons and the World Six Man Titles with Dustin Rhodes and Tom Zenk. Borne’s run in WCW ended in 1992, but his next career move would be his most memorable. In 1993 when “Doink The Clown” debuted, the general feeling was that WWE was finally going all out with the “cartoon era” and a wrestling clown was the pinnacle. Matt Borne played the character who would come out and do pranks on wrestlers and fans. It wasn’t until he turned on Crush that we saw that Doink was a demented character that Borne would play to perfection. The evil version of Doink went on to have a memorable run, facing Crush at WrestleMania 9 in the infamous “double Doinks” incident. Borne as Doink also had a memorable match with Bret Hart at Summerslam 93. Later on that year, Borne would leave WWE and Doink would be played by a host of others (mainly Ray Apollo) but no one ever brought what Borne did to the character. Matt Borne went on to ECW where he was known as “Borne Again,” where he wore the Doink outfit but only half of his face was painted. It would’ve been interesting to see how the character played out had he stuck around in ECW longer. After ECW Borne was absent from the wrestling scene for many years, but did get to reprise his role as Doink at WWE’s Raw 15th anniversary show in 2007. Borne had been making the rounds the past few years at various independent shows and wrestling conventions. He even attended a convention last weekend on the east coast. Matt Borne will be remembered as a great wrestler that was able to transition and pull off one of the most recognizable (and challenging) characters in wrestling history. Many fans may not realize who the man behind the paint was, but he played big roles in many companies in the 80s and 90s. Rest in Peace Matt Borne.